As an experienced surgeon, Dr. Matika performs a broad range of hospital-based surgeries for patients in and around the Manhattan Beach, CA, Redondo Beach, Hermosa Beach, and surrounding South Bay area, so they can feel confident about their care and results. 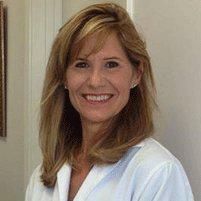 Dr, Matika relies on the most advanced and safest techniques for superior outcomes, maximum safety and optimal healing. When a foot problem either does not respond to conservative management techniques or is too significant for conservative techniques to be helpful foot surgery can provide effective relief of pain as well as improved function. Dr. Matika will recommend surgery only after a complete and thorough evaluation to determine its necessity. Why can't I have the surgery performed in the office? While some simpler procedures can be performed in Dr. Matika's state-of-the-art office, others require the support of a full-service medical facility like a hospital or surgery center in order to ensure the best outcomes and patient care. Dr. Matika will discuss the need for hospital-based surgery during your evaluation, and she'll answer all your questions so you can feel confident about the care you receive and where you receive it. What types of hospital-based foot surgery does Dr. Matika perform? Reconstructive surgery following amputation or trauma, or to treat disfigurement or deformity.